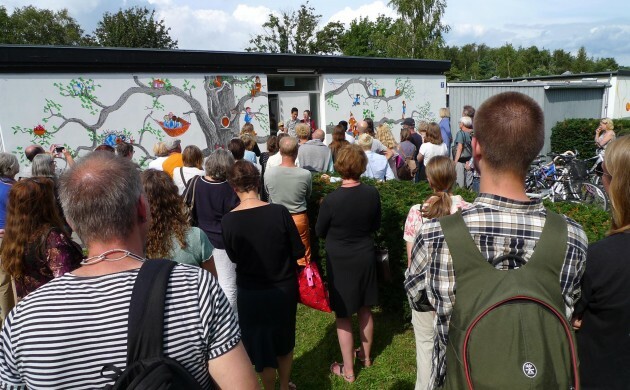 A huge crowd participated in the opening at Kongelunden! 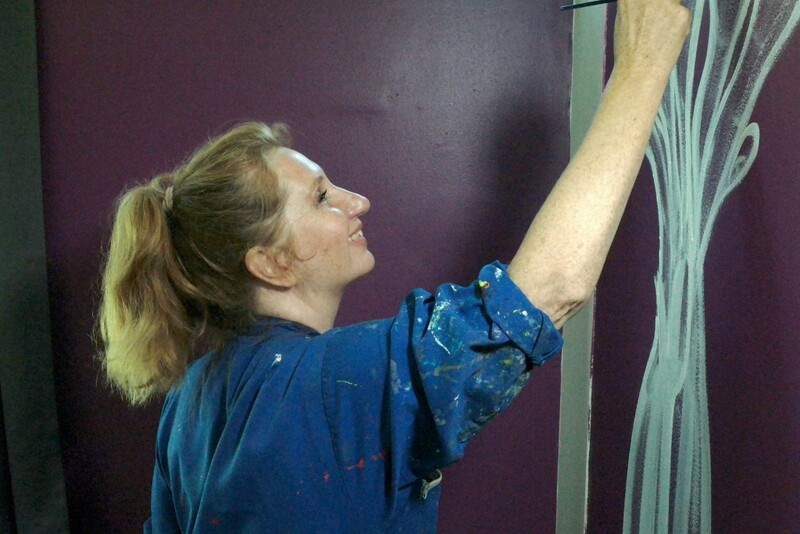 Painter Maria Dubin started to paint the walls of the Kongelunden asylum centre several months ago in a bid to lift the lives of its residents. 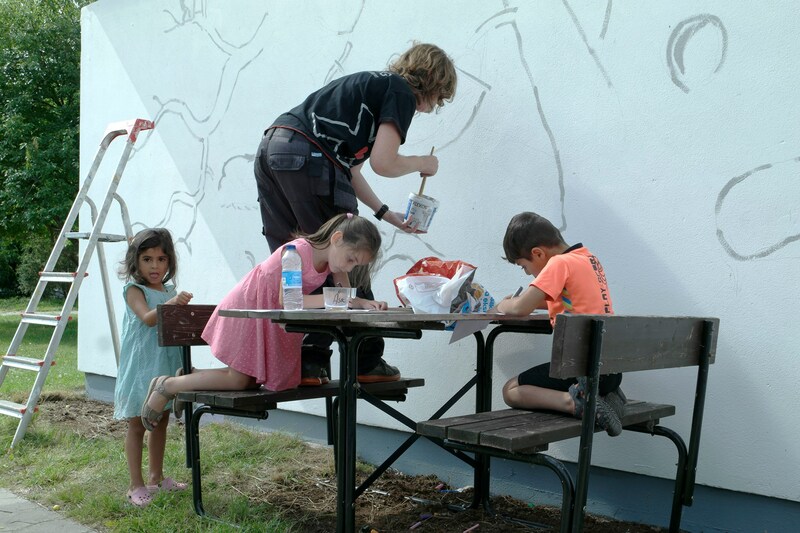 She then decided to involve ten international artists to complete her work as part of a project named ARTUNITE. 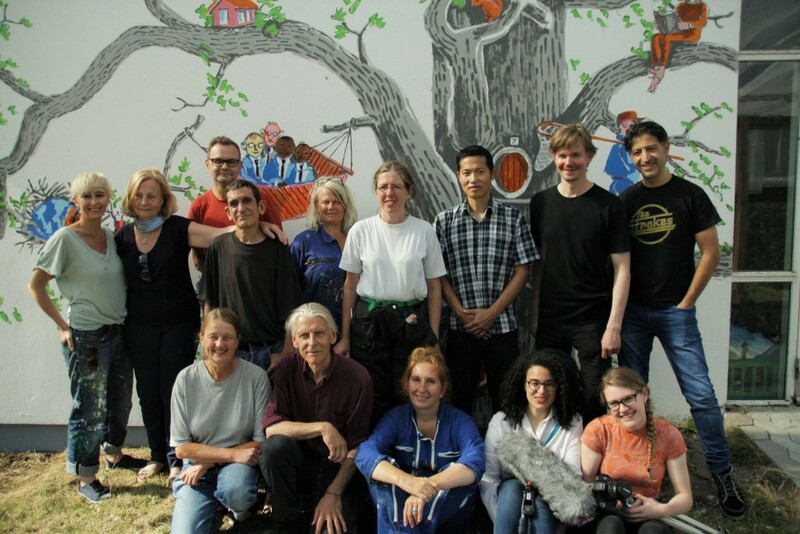 With the support of the Tuborg Foundation, the launch of the project on Kickstarter and the help of several volunteers, Dubin made it possible to connect people from all over the world, regardless of their background, through the means of art. On Friday 5 August, a film crew, photographers, writers and, of course, painters, came to turn Kongelunden into a joyous art vernissage setting. 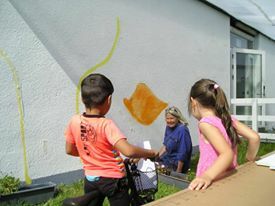 Amongst the residents, children especially showed great enthusiasm for the event and offered their collaboration to the painting process. The opening was a great success. Dubin revealed that the project in Kongelunden is just the first of a series of ARTUNITE events. 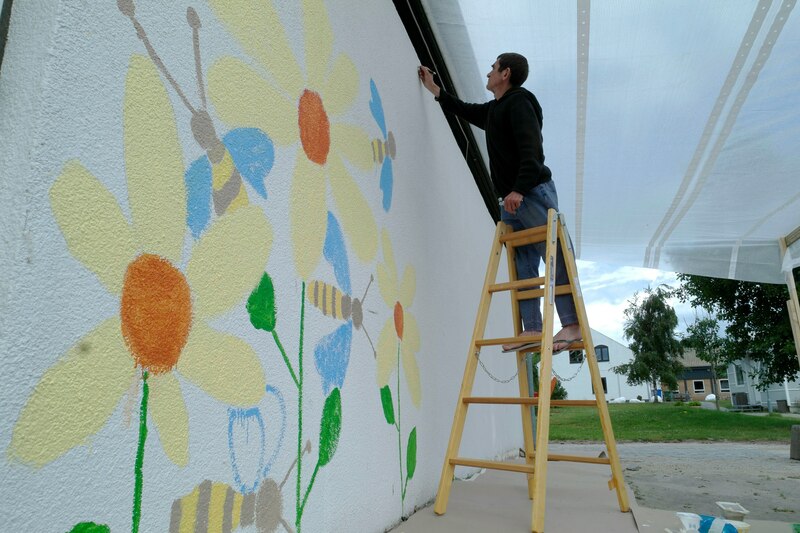 The group is about to grow larger, and it plans to decorate asylum centers all over Europe. Maria Dubin has already contacted other centres.